Grab Your Gear from Greaser Gals Garage! Who doesn't love pinups helping pinups? Am I right?! Greaser Gals Garage creates fabulous handmade hair accessories, GGG logo tee shirts, and creates unity within their pinup/rockabilly community. How awesome is that? Check these ladies out! Clarksville, Tennessee. Visit us online at www.greasergalsgarage.com. In 2014, we began designing our logo and discovering the best branding. 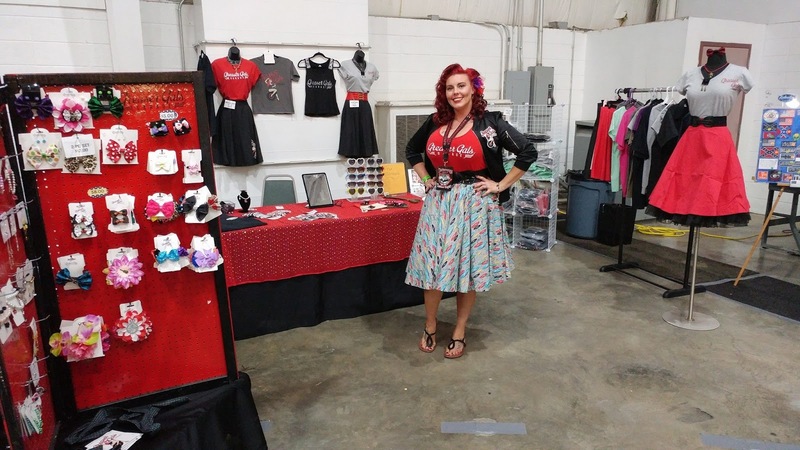 I, Kimberly aka Pearle De Lux, had a small handcrafted hair accessory line I had been doing for a few years and then decided to put on an event in Indianapolis, IN where I am from. So I hooked up with an old friend Devon since she had a classic car and was involved in one of the Indy car clubs. We held the event at her friend's garage and had lots of ladies show up with their daughters and we did their MUAH. Then they had the option to select hair accessories I had premade or handpick their own design and I created them onsite. Once everyone was all dolled up we gave the ladies a mini photo shoot. Basically, from that point, Devon and I decided to team up and branch into apparel and add a handcrafted jewelry line in addition to my hair accessories. I love creating something that gives another person feel beautiful. Devon had an old Chevelle SS so I had purchased a '53 Belair project in 2016, some of my local gals came and helped with metal fabrication, body work, paint prep, interior, etc. which was a blessing for me to learn car stuff from other ladies. Its funny Greaser Gals Garage has kind of turned into a social club for ladies from all walks of life. My amazing Greaser Gals have newer show Camaro’s, lifted Jeeps, motorcycles, hotrods, etc. Some are models, burlesque queens, nurses, veterans, wives, mothers, College students, and they are always there to help with either car stuff or be a part of my merchandise photo shoots, or even lend a hand and help me at my events. Did you see a need or a void to fill when creating your business? Yes, between new and old school Rockabilly/Pinup/Greaser Girls. I saw so many ladies doing their own amazing thing and it inspired me to step up and see what kind of impact we could have on bringing the amazing older hotrod ladies who may not be into dressing up but love to be out with their husband and hotrod or out showing off their own hotrod/classic car to have fun with accessories or something fun to check out while strolling through swap meets. In addition, provide the cutie pie Pinups with new fun items who step out looking amazing from head to toe and all the ladies in between that enjoy vintage style and nostalgia that is the rockabilly culture. I wanted to make something special for all women in the different walks of life to express their individuality. How does your business impact and empower, women/individuals? 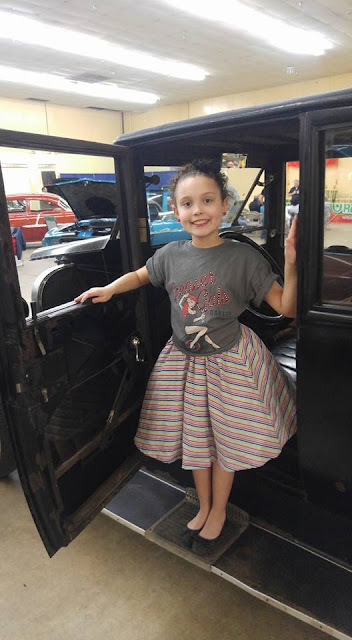 Greaser Gals Garage is all about showing every generation of ladies that you don’t have to fit into any mold. We all have the power to create our own style and to embrace self-confidence. 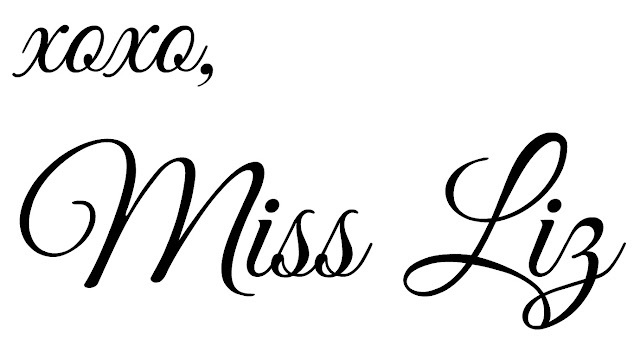 We are fully supportive of the Pinup pageants whether it be little girls or grown women we are always giving free merchandise out to the winners. I love being able to help out anyone with tips I have learned, from other ladies and pass it down by either creating accessories and/or apparel that boosts their confidence to go and try that photo shoot they always wanted or encourage them to get dolled up and come out to shows and make new friends, or helping with make-up and hair. Literally, anything I can do to give back, I am open to doing. 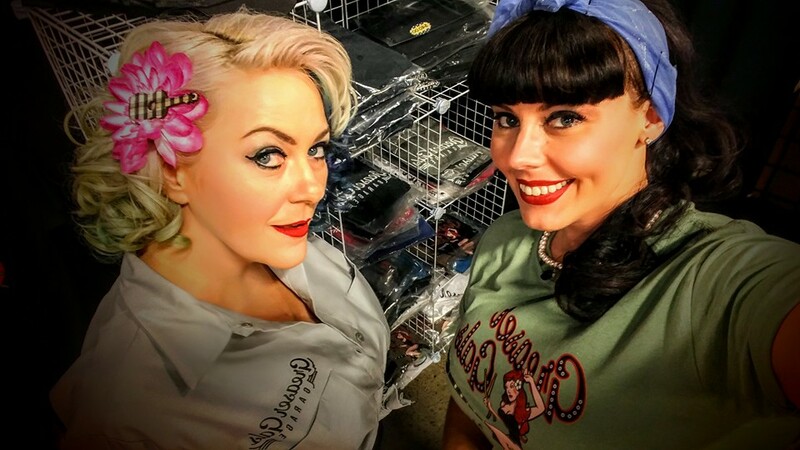 These gals make the rockabilly/pinup community a brighter place! Be sure to check out Greaser Gals online or at the next car show! See you there!